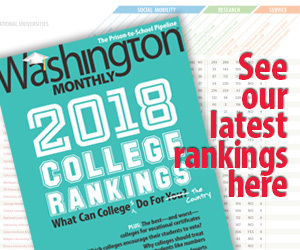 Washington Monthly | A sign of the ‘Times’? A sign of the ‘Times’? A SIGN OF THE ‘TIMES’?…. The recent turmoil at the far-right Washington Times has led to a significant shake-up at the top of the paper’s hierarchy. Now, however, there’s at least a possibility that the paper will stop publishing altogether. Things seem to be going from bad to worse at the Washington Times. And the continued operation of the newspaper, which is owned by Rev. Sun Myung Moon’s Unification Church, seems to be in serious doubt. There’s already been plenty of speculation that the paper might fold or go online-only. Sources at the Times said they fear major changes and that the Moon family feud that’s driving the paper’s turmoil could lead to the Times shutting down in the coming months — with some suggesting that Preston Moon, the reverend’s son who serves as chairman of News World Communications, the parent company of the Washington Times, came close to that decision last weekend. Others believe the paper, with its relatively modest circulation, could pursue an online-only strategy to harness its growth in that area. They also remain pleased with the new Washington Times radio network. Obviously, the newspaper industry in general has been struggling to deal with significant drops in circulation and ad revenue. But the situation at the Washington Times is different situation — the paper has always lost money. It exists mainly as a political propaganda project of the Rev. Sun Myung Moon, a controversial Korean cult leader, and his Unification Church, which has kept the paper afloat since creating it. Now, however, in light of the Moon family feud, that future is very much in doubt. The main question, aside from the intrigue surrounding the shake-up, is whether the paper’s demise would make any difference. The Washington Times is important to right-wing talk-radio, conservative blogs, and Republicans on the Hill, but by the standards of a daily newspaper in a major U.S. city, the Times has a tiny circulation (about one-tenth the size of the Washington Post). The Times may soon go. Whether it’s missed remains to be seen.